Simplify your complex design and reduce time-to-market of your products by dropping in an SOM module as a component in the design. 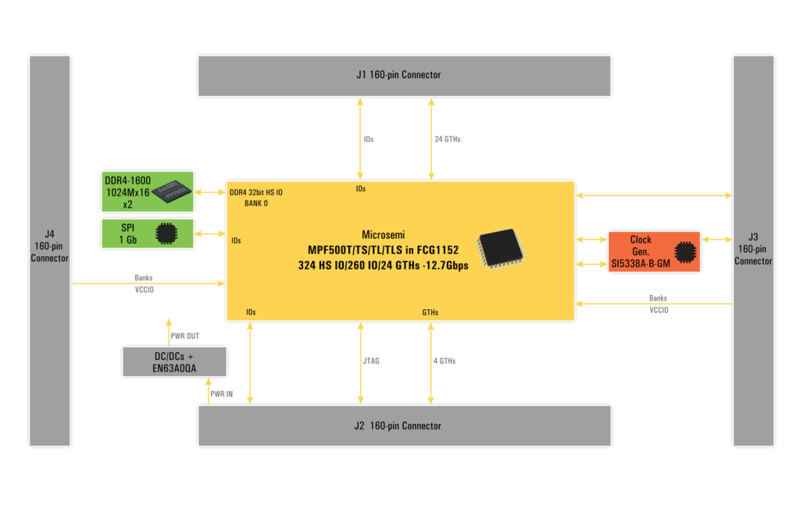 SOM1 and SOM2 can be used on Sundance DSP’s SE200 PCIe carrier card. PolarFire FPGAs offer design security with transceivers, low power transceiver devices, data security with transceivers, and low power data security with transceiver devices. 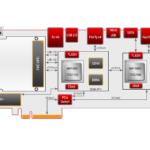 All PolarFire FPGAs are integrated with multi-protocol industry-leading low-power transceivers. Low power (L) devices provide up to 35% lower static power. Also, data security (S) devices have an integrated DPA safe crypto accelerator. PolarFire Devices are currently offered in Extended Commercial (0ºC to 100ºC) and Industrial (–40ºC to 100ºC) device offerings. 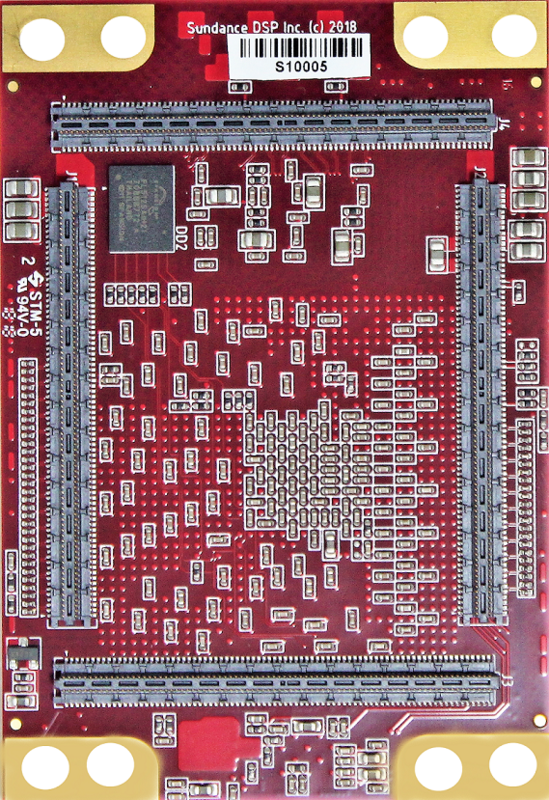 The Libero SoC PolarFire Design Suitedelivers a number of many soft IP cores, including a RISC-V processor, Data Security, Ethernet, DES encryption, error detection and correction, and more. This helps kick start many development projects and reduces time to market. This SOM1 and SOM2 have a small footprint of 76 x 52 mm. SOM1 is by default populated with MPF500T-FCVG1152 device but can be optionally built with MPF300T in the same package for reducing cost. With any of the options the module provides many IOs and 24 (or 16) high speed transceivers. 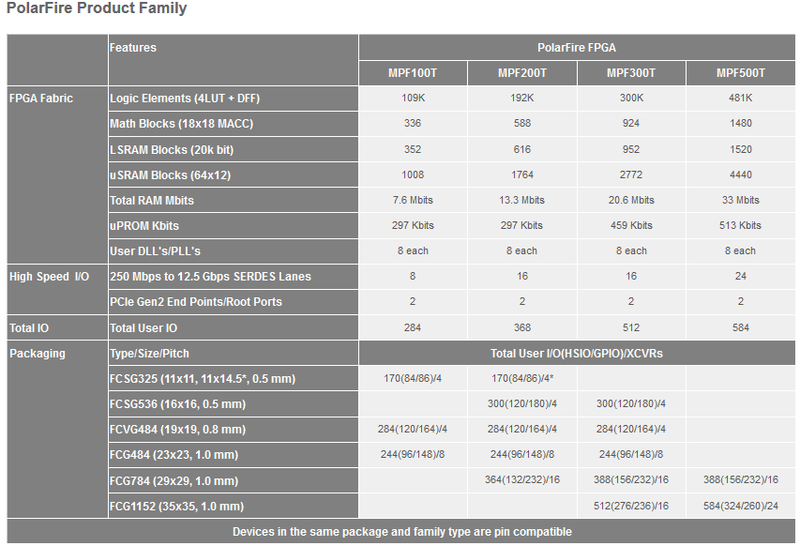 Below is the table showing resource and family details of PolarFire range. Small footprint of 76 x 52 mm. Power IN from 3.3V to 5.5V. 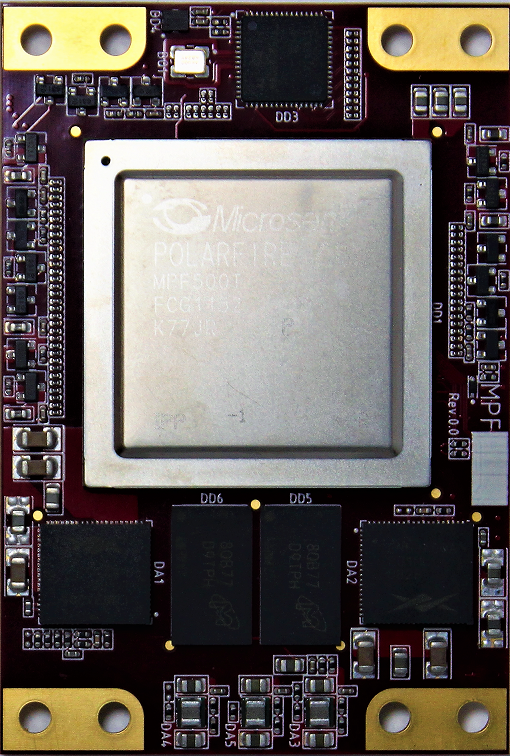 Both versions included the FPGA in -1FCG1152 package.